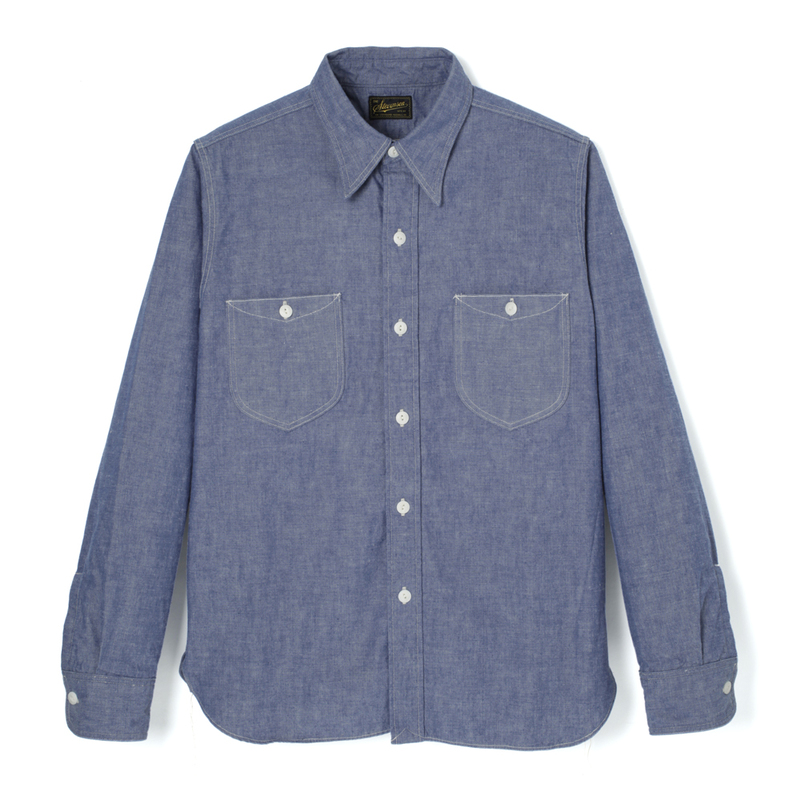 Selvedge chambray fabric. 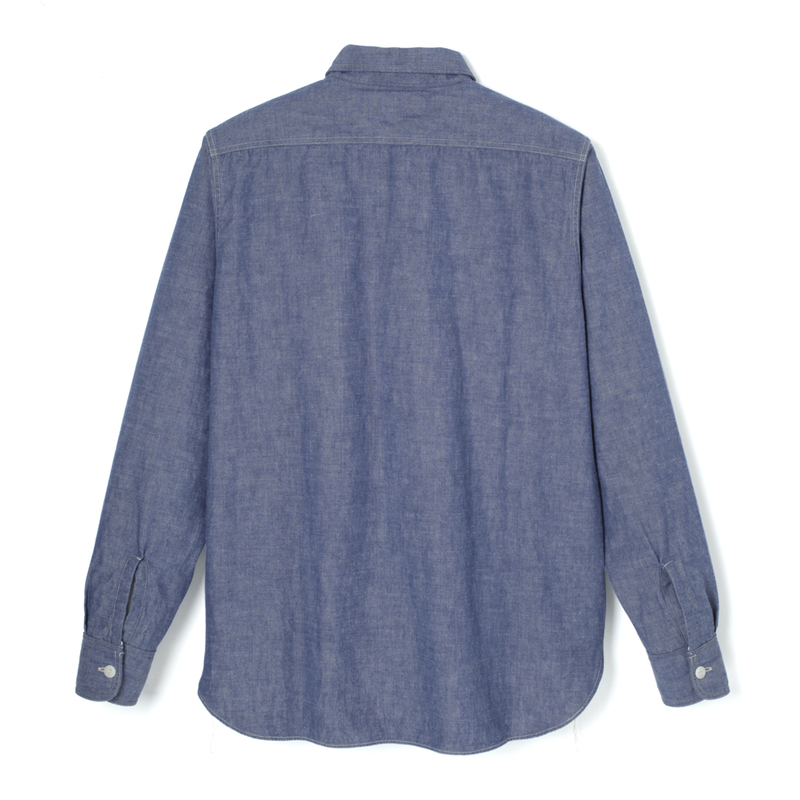 Inspired by the chambray fabrics used by the U.S. Navy, the fabric has a slubby texture. Woven on vintage shuttle looms to provide a rough characteristic.